Recently, the 4th generation groups have been receiving much attention from the public, including SM Entertainment’s new girlgroup. Recently, on a Chinese social networking forum, information about SM Entertainment’s upcoming girl group was revealed. As this forum page regularly gives rumors quite close to reality, this information has gained Kpop fans’ confidence. In particular, SM’s rookie girl group will include 11 members from different countries. 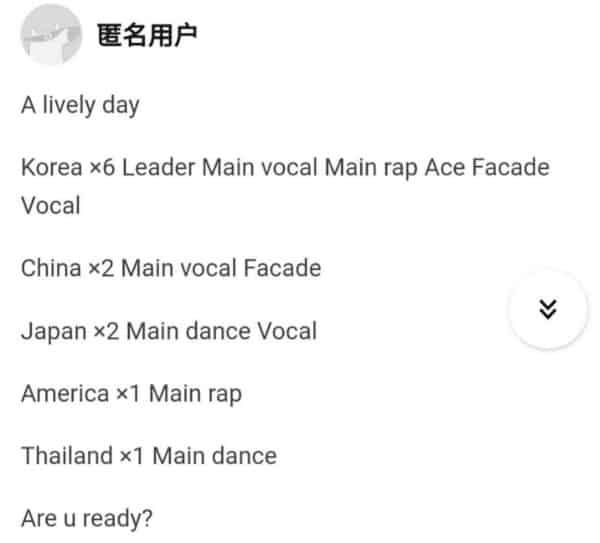 In particular, 6 members from Korea will hold many positions such as the lead vocal (main vocal), main rap (main rap), visual (ace) and accompaniment (vocal facade). The Kpop boss’s next girlgroup has caused a stir when there are rumors that the idols’ voices are even better than Taeyeon’s (SNSD) and Wendy’s (RED VELVET). Two members of the rookie group are called NingNing (from China) and Koeun (from Korea). This new girl group also has an additional member from the US, taking the position of rap and a member from Thailand, taking on the main dance position. Unbelievable, SM is using media play too much for rookie as they often do? Better than Wendy and Taeyeon, can you believe it? If it is true, they would’ve debuted long ago! Wendy’s vocal isn’t that special, there are many other idols have better vocal than her. I don’t understand why you guys think Taeyeon’s voice is the best when her voice is just as boring as the others! I look forward to this new group. Most rumors highlight that this is the main girlgroup of SM. Many people believe that the new members will follow the golden path of SNSD and represent “boss” Lee Soo Man in the new generation of Kpop. Are you looking forward to this new group?